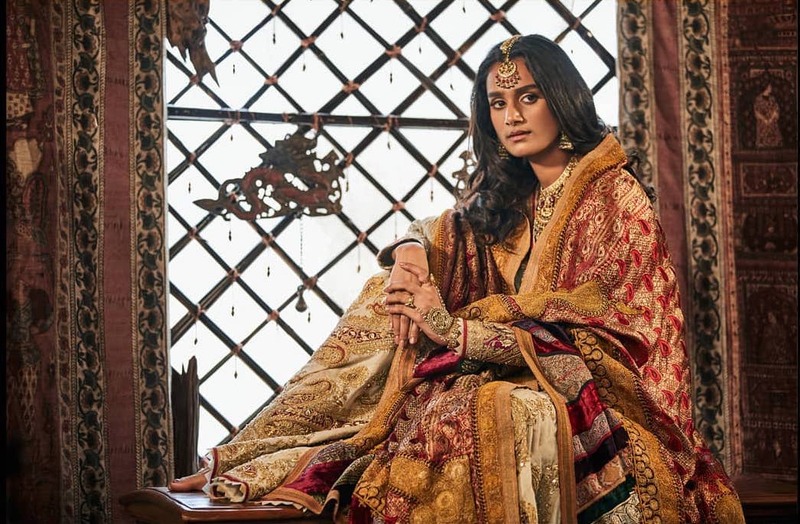 Everyone looks out for Sabyasachi, Anita Dongre new collections. But there are so many more premium bridal designers who do fantastic work in wedding fashion. In fact, their designs are super unique. Rimple Harpreet Narula Bridal Lehengas have been a favourite of mine since years. The only problem – they are quite expensive + their outfits are known to be very heavy! But leaving that aside, let me tell you a little bit about the designer duo. Their latest designs have been worn by Deepika Padukone in Padmavat. You might have seen some of the more heavy, royal heavy bridal lehengas worn by real brides as well. Just to give you an idea, Rimple Harpreet Narula Bridal Lehengas cost between INR 3 Lakhs to INR 8 Lakhs. The bridal-bridal kinds that is. But you can also find some of their more festive casual lehenga collection within INR 2 Lakhs. If you are designer lehenga shopping in Delhi, then you can check out Rimple & Harpreet in Defence Colony. I have written a blog post on Defence Colony Lehenga Shopping in detail. You might want to check that out to compare lehenga designs and prices with other designers. A yellow raw silk lehenga. The skirt is handcrafted with delicate resham embroidery, hand-cut sequins, metal salma and tikki, and intricate zardozi; all used in a painterly fashion to render stalks of lotus blossoms and water-lilies gently floating in sequined waters. It is paired an embroidered choli and a multi-hued tulle dupatta which is offset with delicate pearl embroidery and such a gota texturing. Grey is the latest ‘it’ colour if you’re looking to stand out in a crowd full of brides. When everyone’s opting for the usual pinks and reds, a grey bridal lehenga is a stunner choice. It doesn’t look all that crazy because of the beautiful gold work all over. I don’t have the exact prices for real bride lehengas. But this one is definitely on the top of the price chart somewhere. If you notice, every wedding lehenga is different from each other. Be it the colour, the kind of work, you can’t connect one from another if you are not told it’s from the same designer. What I love about this designer duo’s designs is that you can pick anything from wedding to reception wear. They do amazing bridal shows, and their collection keeps getting better each year. All of these Rimple & Harpreet Lehengas are available on Carma Online Shop. If I had to pick one favourite from this collection, it’s this traditional kurta sharara look for a bride. You can easily pick this for any of the smaller functions or a puja at home. The outfit has beautiful pops of baby pink all over and with ivory that looks pretty cute. The shirt features resham, kasab dori and badla embroidery, used to render delicate floral bursts and trellises derived from an archival 18th century textile. The look is finished off with an embroidered tulle dupatta. Very Good Collections, Creative Designs, Keep it up!